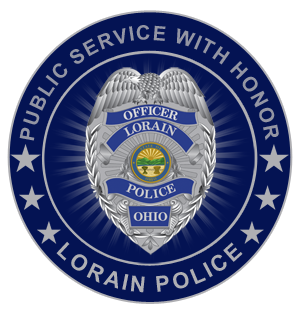 The Lorain Police K9 Unit consists of 4 uniformed patrol K9 handlers assigned to the Patrol Division. K9’s Garp, Scotty, Argo, and Titan are dual purpose K9’s that provide support to patrol officers in the performance of their duties. They also provide assistance to other local departments during critical incidents that can benefit from their capabilities. Their duties include deployment for alarms, buildings searches, article searches, narcotics sniffs, tracking fleeing suspects, and evidence location. Our K9’s also provide our community with presentations and public appearances that demonstrate their uses and abilities. In both 2013 and 2015, Officer Craig Payne and his K9 partner Kriss received the North American Police Work Dog Association’s prestigious “Valor Award” for their display of bravery in the line of duty during critical incidents. 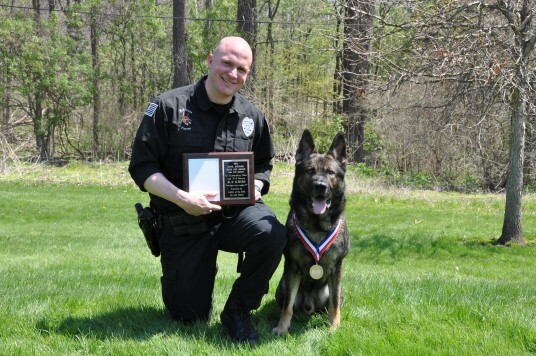 Likewise, in both 2013 and 2015, Officer Payne and Kriss also won the Gene Jasinski Hero Dog Award and the German Shepherd Dog Club of Northern Ohio Award for Outstanding Valor.